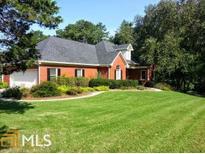 Find Oxford, GA Homes for sale. View Photos, Maps and MLS Data Now! 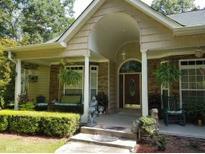 Beautiful Moldings, Multiple Hvac Systems, And Large Back Deck - Must See! MLS#8566785. The Magnolia Realty Group. Stone Lea - Rocking Chair Front Porch! Hurry Want Last! MLS#8567231. Shannon & Shannon Realty, Inc..
Hardwood Flooring. Wow! What A Deal! MLS#8566959. Desari Jabbar Realty Group Llc. Must See To Appreciate All The Details Of This Home. MLS#8565113. Pinnacle Realtors. Must See To Appreciates All The Details Of This Beautiful Home. MLS#8563686. Pinnacle Realtors. Come And See This One Today! MLS#8563386. Solid Source Realty Ga.
Northwood - 3rd Bath Has Dual Vanity & Seperate Shower Room. Updates Throughout. MLS#8561530. Southern Landmark Realty, Llc. Lots Of Entertaining Space Downstairs All Finished W/ Endless Possibilities Theatre Room, Game Room Or Office.6 Stall Upscale Barn W 400Sft 1 Bedroom/1 Bath Full Apt, No Fly System, 2 Rings, Water Systems, Breeding Area And Wash Area. Full Drive Around. All Gated! MLS#8557425. American Realty Pro Of Ga. The Separate, Detached Garage Provides Additional Workshop Space And Room For All Your Toys. MLS#8553491. Your Home Sold Guaranteed Rlty. Great Area! This Home Is Gorgeous! MLS#8553413. Vickie Lester Realty, Llc. Wentworth: A Small Stable Neighborhood & This Home Is Calling Your Name! 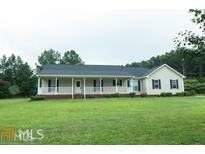 MLS#8549697. American Realty Pro Of Ga. Huge Secondary Bedrooms; Fenced & Unfenced Areas In Backyard; Covered Front Porch & Big Covered Rear Porch; New Roof & Soffits; New Water Heater; Hard Surface Floors Throughout Main Living! 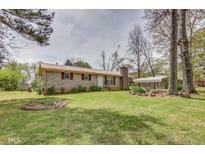 MLS#8548724. Bhgre Metro Brokers. Northwood - The Rest Of The Full Unfinished Basement Is Full Of Possibilities With Double Doors Leading Out To The Private Backyard. Sprinkler System, 2 Water Heaters. MLS#8545071. Mcginnis Realty & Appraisals. Tabor Forest - Also Featured Is A 36X52 Climate Controlled Shop W/ 2 Insulated Roll Up Doors, A Third Garage Door, 12X22 Loft, Storage Room W/ Built In Shelving, Bathroom & 16X32 Lean To Shed. Freshly Painted & Move In Ready! 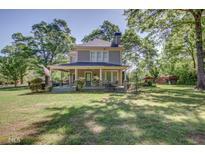 MLS#8544037. Summit Realty Group. *Come See This Gorgeous Home Today. MLS#8543188. Keller Williams Realty Ame. Bring Your Clients To This One And Stop Looking. MLS#8541906. Exit Landmark Realty. Hightower Forest - Finished Basement With Large, Versatile Space Limited Only By Your Imagination. 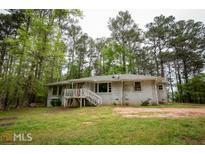 MLS#8539288. Your Home Sold Guaranteed Rlty. Empty Nesters, First Time Home Buyers, Investors, And Much Much More!!! Schedule An Appointment Today!! ! MLS#8538483. Honest Realty, Llc. Call Today To View This Gem Of A Home Because It Will Not Last Long. MLS#8537276. Pinnacle Realtors. Home Sold As Is - Cash Buyer. MLS#8531502. Bridgewell Realty Inc.. Enjoy Brand New: Stainless Steel Appliances, Hardwoods & Carpet, Siding, Paint In&Out, Led Lights Throughout, Solid Surface Counters, Sinks In Baths & Kitchen, Toilets, Custom Made Mirror, Remote Controlled Ceiling Fans, Tamper-Resistant Outlets.The Original Garage Was Previously Incorporated Into The Living Space Creating A Fourth Bedroom As Well As A Second Living Space Available To Be A Second Family Room, Gym, Library, Office, Whatever You Can Imagine.The Over-Sized(24X24)Detached Garage Is Large Enough For A Real Work Bench, All Yard Tools, And There Are New Pull Down Stairs Leading To Additional 169 Sq Ft Of Storage.The Backyard Is Fenced,The Lot Is Level.Come & Buy!100% Usda Eligible MLS#8528686. Dj Gordineer Real Est.Services. 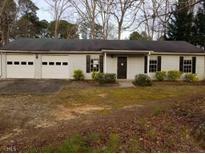 Highlands Plantation - Very Well Built Home With Low, Low, Low Utilities! MLS#8517123. Re/Max Agents Realty. Living Room Offers Beautiful Stone Fireplace. Usda Eligible! ! MLS#8517373. American Realty Pro Of Ga.
Do Not Use Showing Time. Active Is Available MLS#8502432. Bridgewell Realty Inc..
Carriage Park - Grand Foyer, Full Dining Room, Great Room, Open Kitchen With Island And Breakfast Room And A Home Warranty Included 13 Month Hwa. Start 2019 In Style! Show! MLS#8498795. Re/Max Around Atlanta.